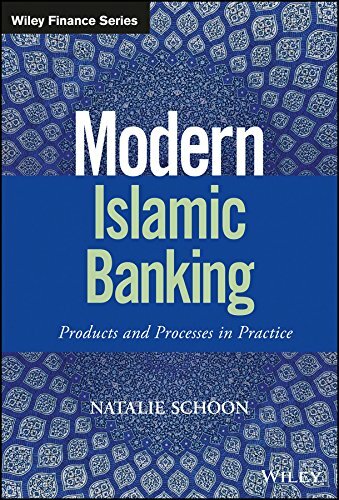 A complete, detailed guide to modern Islamic banking fundamentals Modern Islamic Bankingprovides a comprehensive, up-to-the-minute guide to the products, processes and legal doctrines underlying Islamic banking. Written by a pioneering practitioner in the field, this book provides thorough guidance and expert-level perspective on the principles and applications of this alternative-banking model. You'll begin by learning the fundamentals, vocabulary and key concepts of Islamic banking, then explore key products including istisna'a, murabaha, musharaka, ijara, sukuk, and salam. Coverage then moves into practical applications of Islamic products to a variety of contexts including asset management, treasury, risk management, venture capital, SME finance, micro-finance and taxation. Regulatory frameworks are discussed in detail, including extensive coverage of post-financial crisis Islamic bank valuation. Islamic banking has experienced rapid growth over the past decade, a trend that is set to continue given the sector's successful weathering of the financial crisis. This book brings you up to speed on this alternative way of banking, and shows you how it applies within your own current practices. * Understand the principles of Islamic banking and finance * Learn the products, vocabulary and key concepts of the field * Consider the applications in a variety of financial contexts * Explore the regulatory frameworks and valuation of Islamic banks Islamic banking practices differ from Western banking in fundamental ways - it's these differences that shielded the sector during the global crisis, but they also require practitioners to understand a whole new set of rules, products and practices. Modern Islamic Banking gives you a solid understanding of the fundamentals and expert insight into modern practical applications.